This is our first model built entirely using an CAD package (IsoMec). Every detail is beautifully drawn by Mike Fallows and he has thoughtfully included a list of parts next to each section. 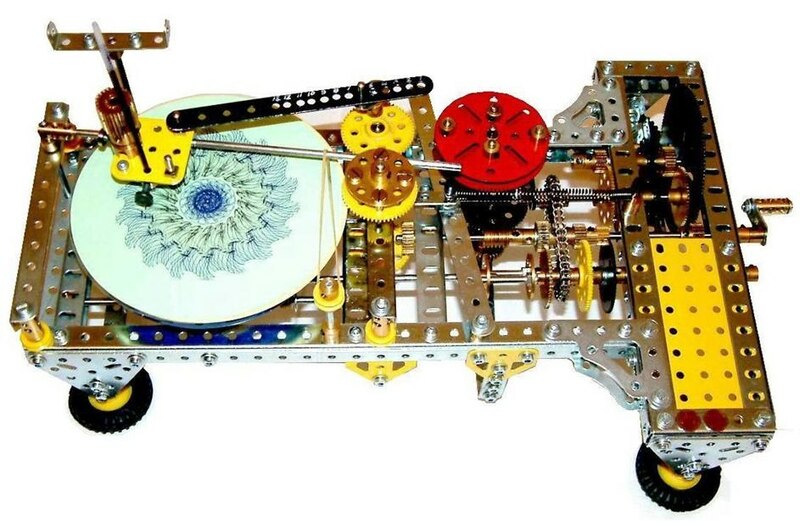 This is not a model for the faint-hearted and the Meccanograph combines the principles of the Universal Designing Machine (No. 19) and the Variograph (No. 1).